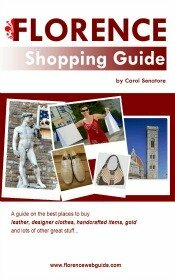 So many people opt for an apartment rental in Florence Italy rather than a hotel. An apartment has lots of advantages: primarily you are more independent and have greater privacy in your own place, and you have your own kitchen to have breakfast whenever you want (no hotel timetables!) 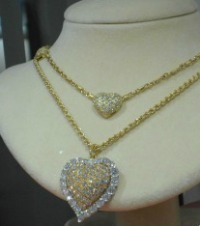 and prepare meals for yourself (saving $). 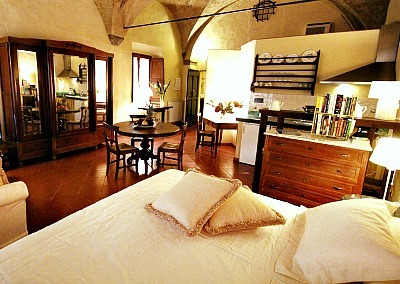 Apartments, of course, generally offer more space than a hotel too - you can really unpack and feel 'at home' in Firenze. Plus, staying in an apartment in Florence lets you feel like you're really 'living' in the city. You can pop down to the Mercato Centrale for fresh fruits and cheeses and then saunter off home to enjoy your lunch on your own terrace overlooking the Duomo (yes, places like this ARE available!). Go straight to a list of the most highly rated rentals in town, or check out FWG's recommendations below for an apartment rental Florence Italy! 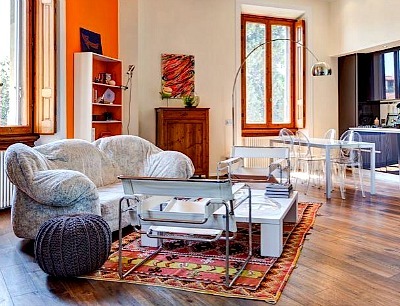 Palazzo Belfiore is one of the best apartment rental complexes you will find in Florence. It has it all: extremely convenient location but in the less touristy artisan quarter of the city (a block from Pitti Palace), warm cozy newly refurbished apartments, friendly helpful owners who are always available....and great prices for downtown Florence! Francesca and Federico, a brother and sister team, have just recently taken over the management of this renaissance building and are doing a great job of making it into a 'home away from home' for their guests. They will help you arrange city tours, hair dressing services, baby-sitting, museum visits, cooking courses, parking services, and many other visitor needs. 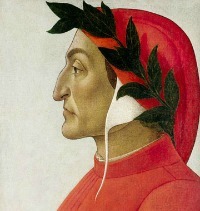 advantages: smack dab in center of Florence surrounded by fabulous shops and restaurants, charming environment, free wi-fi, located on quainter south side of city, access for disabled, located in gorgeous historical renaissance palazzo with antique frescoes, pet friendly. Apartment Rental in very convenient location! If you are looking for accommodation that is conveniently located near public transport facilities AND extremely close to the main downtown area, then Florentia Apartments are for you! This apartment rental is Just a few steps away from the railroad station and bus depot (with buses to and from airport) and is also just a 10 minute walk to the Duomo in the heart of the city. A bustling area, this accommodation is also surrounded by quaint shops, traditional restaurants and artisan workshops too. The smaller apartments comfortably sleep 2 to 3 with the larger going up to 7 - great for a big family! All have been newly refurbished and are equipped with modern conveniences and have a cozy warm atmosphere. Kid friendly too! Ask for a cot, baby bath or other need and Florentia will accommodate! Want to be away from the tourist route, but still easily and quickly connected to all the downtown sights? Villa Lucrezia is a hidden gem offering extremely reasonable rates (much lower than you would pay in the historic center) for lovely accommodation on the fringes of the city. But you get downtown in 10 minutes by bus, which stops a few feet away from the villa! This location couldn't be better connected by public transport or even walking (25 mins downtown). 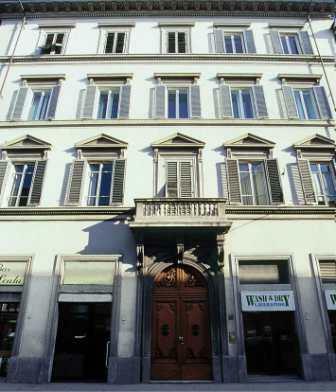 This 19th century villa is in piazza Puccini, the square named after the great composer Giacomo Puccini. All apartments are newly renovated in neo-renaissance style and are very cozy and welcoming. 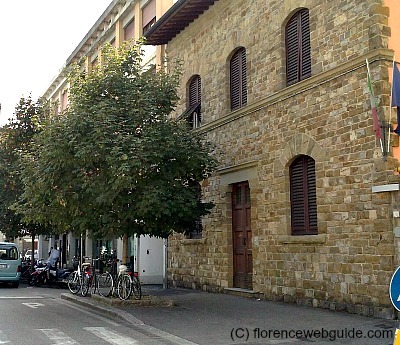 The Puccini neighborhood has lots of local character, a genuine community feel. Each morning there is an outdoor market in the square right in front of the villa: eat local dishes prepared on the spot at the food stands and buy fresh fruits, cold cuts, breads and cheeses to load up your kitchen. Also, you will be a short walk to Florence's Cascine park, a great place for jogging, renting bikes, or just strolling and people watching. 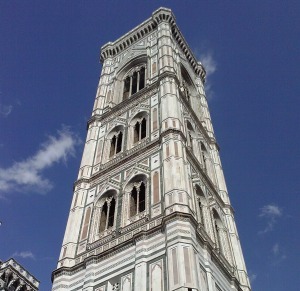 If you want to walk out your door and be in front of the Duomo, this is it! When looking for an apartment rental in Florence Italy this guest house has exceptionally consistent rave reviews and the location speaks for itself. 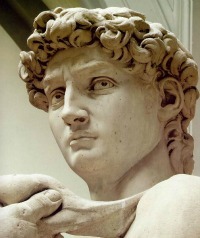 You are literally a few feet from the Florence Cathedral, Campanile, Baptistery and just a few minutes from the train station, Piazza Signoria, and the Uffizi museum. A small guest house (3 apartments in all), each lodging sleeps 4-5 people and boasts a decor rich in Italian elegance with all modern comforts: AC, wifi, flat screen TV, fully equipped kitchen. 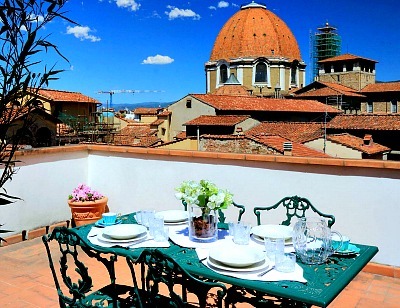 The Duomo Guesthouse has one apartment with a terrace overlooking the Medici Chapel dome (see pic) which sleeps 4. Rates are not the lowest (due to prime location) but if you would like an elegant flat with a view of the Duomo from your window it is worth the extra euros!